Also on that day, Saintess Alka dove into the dungeon. Saintess Alka, an existence that specialized in capturing a dungeon solo. Her excellence as a solo power was obvious, but she also had the super rare skill [Revival], so she’d revive even if she died. As she was able to gain experience through her deaths in the dungeon, she would be able to capture it sooner or later. Since she could revive even if she died, she was able to acquire countless skills from expensive skill scrolls that wouldn’t be used on common soldiers. In particular, she had an abundant amount of skills suitable for dungeon combat. Due to the [Storage] skill, she could dive into dungeons without worrying about food and drink. Due to [Healing], she was able to heal some wounds immediately. 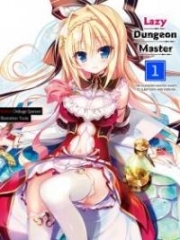 She even had some other skills like [Dungeon Trap Perception]. As its name implies, it’s a skill that allows the holder to see dungeon traps. Even so, something strange happened to the saintess in this dungeon. Despite having the [Dungeon Trap Perception] skill, it practically didn’t work at all. She couldn’t understand why. It wasn’t an omnipotent skill like the light God’s divine protection of course, it was imperfect in the sense that it wouldn’t react to traps set by people… However, it’d normally find ten traps out of ten in a dungeon. For some reason, though, it was only finding three out of ten in this dungeon. She’d been relying on the skill when diving into dungeons recently, but since it wasn’t of much use, switched to looking for traps with her own scouting capability that she hadn’t been using… It had been a long while since she searched for traps manually, so she got caught by more traps than she thought she would at first. The search was a slow process. Most of all, since she could record traps she got caught by with her [Mapping] skill, she wouldn’t get caught a second time. If she was able to solve a maze or labyrinth, it would perfectly memorize the path. She had negotiated with the guild to receive a map of the place when she started, so the capture proceeded with relative ease. The saintess passed through the second and third floors that were the labyrinth area. She paused a moment in reflection. There wasn’t anything in particular after the labyrinth area. It seemed as though there were a riddle door there at one point. Since she couldn’t find any traps nearby either, she kept advancing farther in. Something like the saintess stopping here wouldn’t happen. The only time she’d return would be in the case she captured the dungeon. There was a spiral staircase when she passed through the fourth floor. As for traps… she wasn’t able to see any through her skill, but… considering how things had been going, there probably were. She carefully descended the spiral staircase—the wall shot out, almost pushing her into a free fall through the center. She ran down the stairs in a hurry. No, let’s correct that. A stair broke under her foot and she lost her step. She fell. The impact broke many of her bones, but she wasn’t dead yet. The broken bones were healed by her recovery magic. She would have had to commit suicide if she weren’t able to recover… Once her injuries were mended, she would restart her exploration. Her descent(fall) down the staircase completed, she went into the next room. The moment she opened the door, a warm and ominous air brushed against the saintess’ skin, giving her gooseb.u.mps and sending a chill down her back. Despite not being cold, this was caused by a feeling of blood thirst. When she looked, there was a black wolf. An instant later, she saw the black wolf spring towards her. The saintess woke up in the inn’s room. Her upper body had been bitten off and she was still conscious while being swallowed. She felt her own body being chewed. It was a level of pain that no normal person would want to experience. Even so, the saintess was calm. She was accustomed to dying at this point. With the saintess’ lack of reluctance towards dying, she probably had a spirit so strong that it wouldn’t break even after tasting death countless times. At least in the eyes of other people, the saintess could converse with people normally. She was a person who could open talks with others, so there was no problem. The saintess wore various poisons on her body. Therefore, in the case the saintess ever gets eaten by a monster without a tolerance towards poisons, it would be her victory. The poison was something she could use in an emergency to poison her opponents, as well as something she could use to kill herself if she fell into a situation where she wasn’t able to move. Other than those on her clothed, there were a few inserted into her body… Although she didn’t use it this time, there was even a delayed activation poison she’d use when diving into a dungeon to return her at a specific time. Her attendant, Cent, nodded to the saintess’ statement with a smile that seemed lonely. Vanishing into particles of light after being ripped apart by Rin, I confirmed that she revived in the inn’s room. For now we should be safe today. Her daily DP income dropped to 225 DP today, too… I think her upper body got eaten, but maybe that’s unrelated to it? Most of all, from her standpoint, that’ll make it feel like a brokenly balanced game. I had to go through so many hardships just to get Rin there after all, isn’t this much alright? Rin roared and called me. … Good doggy. How about I send you a messenger golem filled with sweet syrup? From what I can tell, Rin loves sugared liquids. Eh, what’s that? The saintess didn’t stay in your belly, but you felt a tingly sensation and a delicious taste, you say? You liked it? Well then, you should keep on eating her whenever she comes by.